Panasonic has announced the development of a new flagship G-series camera, the Lumix DMC-GH5. 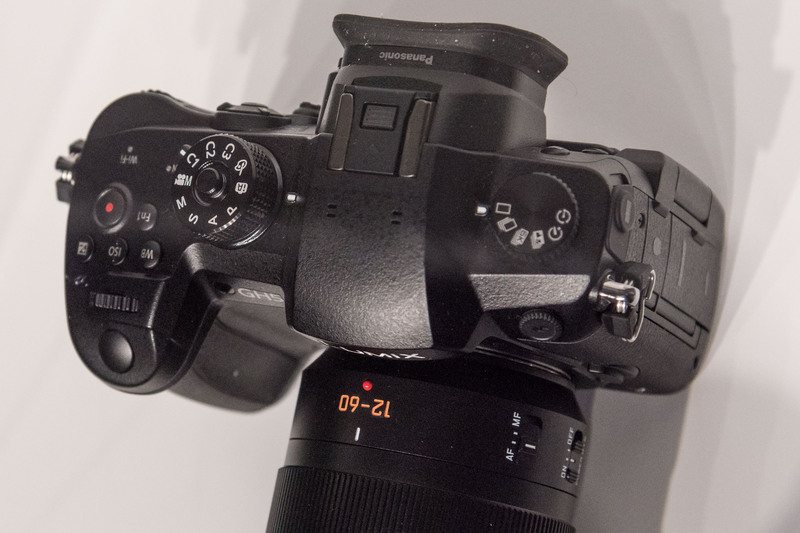 It’s on display at Photokina and we snapped some pictures through the glass. 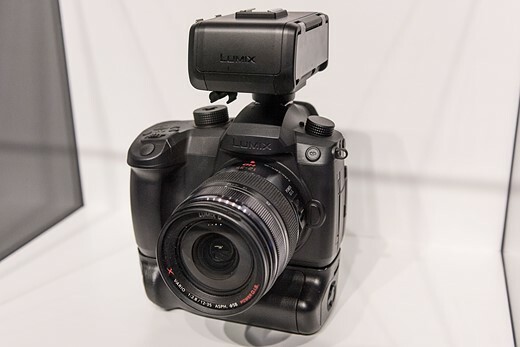 Panasonic is keeping detailed specifications secret for now, but we do know that the GH5 will offer 4K/60p capability for the first time in a consumer ILC, and will provide 4:2:2 10-bit 4K video. 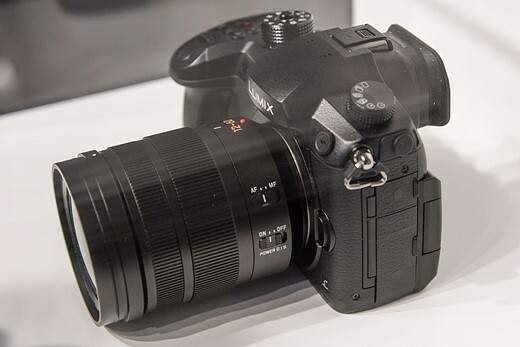 The GH5 will also offer a 6K Photo mode that will allow you to extract 18MP stills from burst footage, or 8MP stills from 60p 4K clips. Apparently, by the time the 2020 Olympics kicks off in Tokyo, Panasonic wants to have an 8K product on the market. 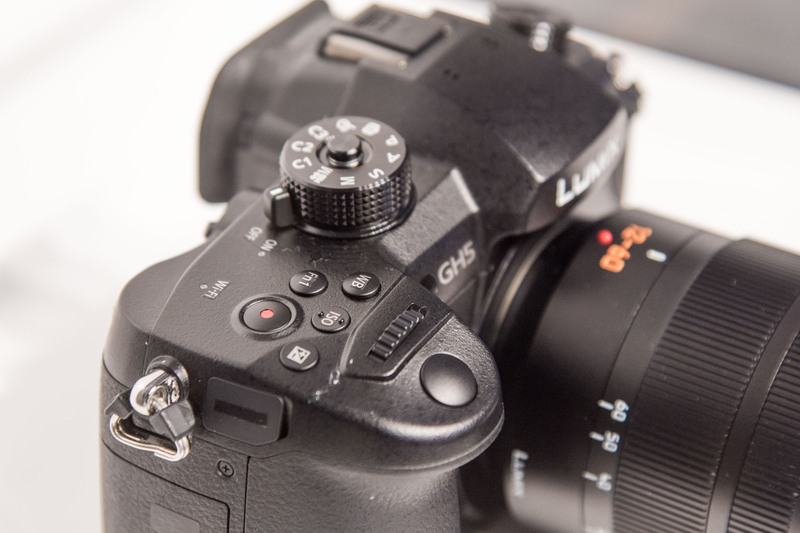 Ergonomically, the GH5 looks a lot like the GH4 that preceded it. We haven’t yet been able to handle a camera, but we’d expect it to feature fully weather-sealed construction, like its predecessor, and for build quality to match the superb GH4. 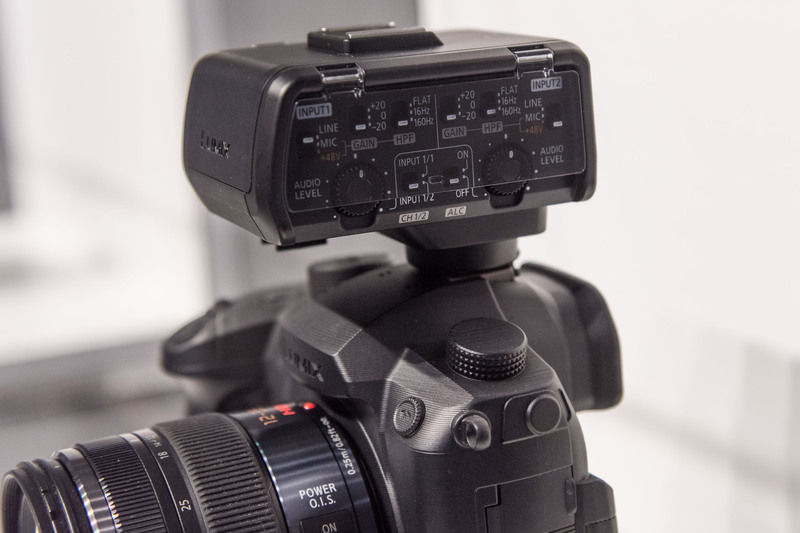 Next to the mockup GH5 is another, much more ‘mock’ mockup, displaying a new vertical grip, and a hotshoe mounted I/O interface unit. This hotshoe-mounted unit seems to replace the DMW-YAGH Interface Unit sold with the GH4. 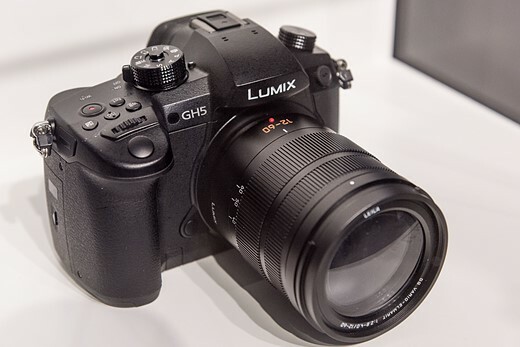 We’ll update this article with more images and information once we have anything else to add, but in the meantime, what do you think of the new GH5? Let us know in the comments.